My hero Judy Clarke is on the defense team of Dzhokhar Tsarnaev | Jon Katz, P.C. 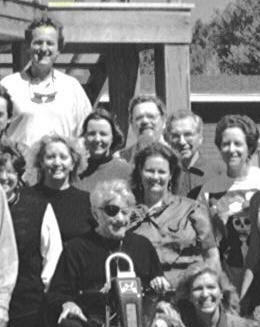 Judy Clarke stands behind the late Bob Rose (who is wearing an eyepatch), and two people to the left of my trial law hero Steve Rench. The rest of the photo is here. 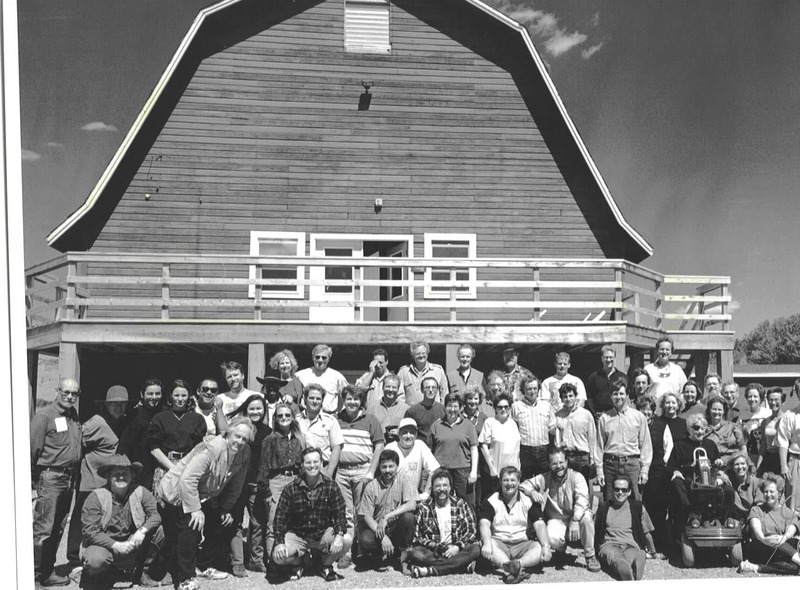 (1995, Thunderhead Ranch, Dubois, Wyoming); I am pictured around four people to Judy’s left, in the middle row, when my grey hairs were still few). In August 1995, shortly after finishing a five-mile run where the thinner western Wyoming mountain air requires an adjustment from closer-to-sea-level life for long distance running, I saw Judy Clarke soon after her arrival for her short participation on the faculty of that year Trial Lawyer’s College. I excitedly said hello to Judy, and she started to give me a hug hello. Despite my telling her that I had just finished a run, Judy still hugged me. That is Judy, the real McCoy right there in the battlefield, and not holed up in an air-conditioned ivory tower suite. Nearly a decade ago, I put together a webpage of ten great lawyers and friends for justice. Judy Clarke has always remained among them. I only heap praise when I truly mean it. When I joined the National Association of Criminal Defense Lawyers in 1991 at the start of my criminal defense career, Judy was already on or very near the ladder to becoming its president. NACDL quarterly conferences included rooms of many huge egos, but Judy had no ego to drag around and pamper. While I had nothing that I knew of at the time to be of benefit to her, Judy, like numerous other NACDL giants, welcomed me into the fold and gave me her time to talk about the often tough path of fighting for criminal defendants. Judy inspired me on my path as a public defender lawyer and criminal defense lawyer. For years, she worked as a full-time public defender lawyer, including heading federal defender offices, and now continues doing such critical indigent defense work as the defense of those risking capital punishment. Judy is on the criminal defense team of Boston bombing suspect Dzhokhar Tsarnaev. He is tremendously blessed to have Judy on his team. I look forward to seeing the magic that Judy will deliver on his behalf.